Marx said the point of philosophy is to change the world. 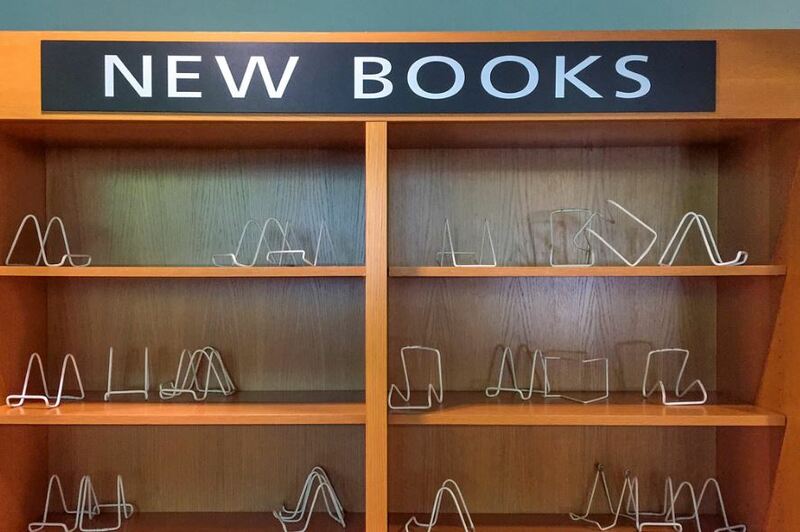 The neoliberal university thinks the point is to sell books. “Nothing,” you say. You are met with visibly suppressed shock, which fails to obscure your companion’s dark thoughts: You are living “deadwood,” and worse, someone who has the gall to admit it. You quickly add, “But I am actively engaged in research in new areas of interest, which I fully expect will result in a series of articles or books.” Not really deadwood, you see. Just taking a working hiatus. Never let it be said, or even thought, that one is not productive. I have three articles sitting on my computer desktop, in various stages of completion. I haven’t touched them in months, nor have I moved forward on a book project. I’ve written blog posts, some relating to my field, philosophy, as well as miscellaneous unpublished writings. But I’ve stopped writing scholarly philosophy. The decision wasn’t premeditated. I have been trying to understand what happened. No doubt this motivational desert was created in part by personal and family challenges, as well as by the extraordinarily disturbing current political climate. But I’ve become convinced that the proximate cause is my deepening disappointment with professional philosophy, and what it reflects about the contemporary practice of the liberal arts. Academic disciplines in our time have been subjected to the principle that more productivity is better, and a lot more is better than better, giving rise to a kind of productivity syndrome. While we may complain about the importance of quality, how often have you heard of someone not receiving promotion or tenure because his or her colleagues said the quality of the work was unacceptable? This happens, of course, but I am asking you to consider how often. Having served on many internal and external reviews, I’ve learned that quantity and prestigious venues are typically what win the day. Yet there is no guarantee that a book or article published by a prestigious press is of high quality — we all know that weak or mediocre books slip through. Quantity is so much easier to evaluate. Professor X has eighteen, twelve book reviews, twenty-one conference presentations, two monographs, and an edited volume. The university’s tenure and promotion committee is going to be impressed. End of story. Academic culture — like American culture more broadly — has become monomaniacally infatuated with productivity as the marker of a successful life, and quantitative measures have become central to determining what counts as success. Although academics can be found resisting (mildly) the metrics of productivity foisted on them by administrators, they also enthusiastically measure themselves. I recall one young philosopher telling me years ago that he wanted to publish 100 articles by date X, and 150 by date Y. We can all recite warnings going back to the ancients to avoid the temptations of Mammon, or Mammon stand-ins. For academics, the stand-ins are recognition and prestige, which invariably require productivity and yet more productivity. The productivity syndrome affects not only those on the tenure track and the tenured. It is also part of the system that exploits contingent faculty members. One of the justifications for the discrepancies in salary and benefits between tenure-stream and non-tenure-stream academics is that the first are more productive than their adjunct colleagues. Just look at how many more articles and books they produce! Of course, if people with tenure were teaching five or six courses a semester at different institutions, their productivity presumably would take a significant hit. Further, once someone has not produced much for several years, it becomes virtually impossible to find a tenure-stream position. The assumption is, well, once a productivity loser, always a productivity loser. How marvelously insidious: a self-fulfilling, self-justifying framework for exploitation. What’s more, adjunct colleagues who do manage to write must send their work to journals that are overloaded with submissions, leading to interminable delays in the peer-review process. This certainly hurts those with less work to submit more than it hurts those who can circulate several articles at once. No doubt, if people were driven less by the productivity principle, the peer-review process would be more streamlined. Philosophy was supposed to be different from other disciplines, or so I thought some forty-five years ago, when I was hooked. Philosophers were supposed to be, like Socrates, the fearlessly critical ones. The ones who stood back and said, look, don’t uncritically buy into the values of your society. Reflect. Question. Are these values truly those of a good life? Now too many philosophers have decided to set old Socrates aside, embracing the productivity principle. To make matters worse, a lot of these people have highly visible positions, which makes them the face of the profession. I was naïve to have believed that philosophy would be different, but I maintained hope for years. Now I am close to despair. I’ve been concerned about the obsessional preoccupation with productivity in academia for almost as long as I have been a professor. In the early 2000s, after more than two decades of teaching at institutions that offered master’s-level work in philosophy, I chaired the department at Penn State. There I witnessed the productivity problem on steroids. The obsessional preoccupation with career advancement among doctoral faculty members — and not only at Penn State, of course — can take one’s breath away, and those faculty members serve as models of professional behavior for graduate students. Their behavior, however, is often unrecognizable as an artifact of philosophical inspiration. Many of them might better serve as models for those who want to work on Wall Street, where the bottom line can always be measured. The contrast with my next institution, Juilliard, where I served as director of liberal arts, was striking. You don’t get a more competitive crowd than Juilliard students and faculty members. There is an intense investment in quality, but few ways to translate quality into numbers. It’s not how many Haydn quartets you have played; rather, it’s how well you are playing this one. I am not saying that there isn’t careerism. But that careerism isn’t tied to quantifiable productivity in the same way it is in mainstream academia. Of course, scholars at traditional universities care about quality. My point is that the system makes it too easy to substitute quantity for quality, production for thoughtfulness. As much as I loved being at Juilliard, I knew that if I stayed there, I would never work with philosophy majors again. And so, when I saw that a good regional institution, Manhattan College, near my home, was searching for a chair to help reorganize its philosophy department, I jumped ship. I expected Manhattan, which has a long history of emphasizing teaching, to be less driven by the productivity principle. And it is, to a degree. But no matter where one goes, the syndrome hovers over the hopes and expectations of students. If they decide to become academics, this is the culture they will have to face. Presumably we want our students to take the intellectual initiative, to branch out and investigate new paths. But whether one is dealing with the approach of a company like Academic Analytics, or an unscientific reputational survey such as the Philosophical Gourmet Report, the preoccupation with measuring and ranking remains. Better to study what’s most widely accepted than to take risks. For example, if citation counts become too important, why would someone risk going into a field with few practitioners, as opposed to areas populated by many more researchers who may cite one’s work? I know what some of you are thinking: old-school and unrealistic. People have to get tenure. They need to produce in a way that can be measured. It’s not their fault. I agree, it’s not anyone’s fault in particular; it’s a system. Nevertheless, people could work to curtail the reign of the productivity principle. They could try to undermine the use of quantity as the most compelling marker of achievement by, for example, modifying their department’s criteria for tenure and promotion, and following up with good arguments to administrators for why the new approach is warranted. Scholars can work in places that are less obsessed with productivity and let others know that this was a choice, not a fallback after a failure to win a position in a doctoral department. Colleges can decide to provide release time for improving pedagogy and designing new courses instead of making release time contingent on research, which is then judged in terms of quantifiable output. But it’s hard to shake all of those years of socialization that chant “Produce, produce, produce.” It’s difficult not to have a robust answer when asked by a colleague at a conference: So, what are you working on? No one wants to be seen as a slouch in a culture that takes the productivity ethic as gospel. None of this speaks to the deeply personal and tradition-bound reasons we have for wanting to write philosophy — or anthropology, literary criticism, history. But we must find a way to separate the activity of expressing ourselves from the commodification and commercialization of that expression. Here is another suggestion: Stop publishing scholarship for an extended period of time. Announce this decision to colleagues. Be willing to say that this is for your good and for the good of your field. Acknowledge that you need time to reflect on what the preoccupation with productivity is doing to your field and to you as a scholar. Such a challenge may involve thinking of scholarship as something of a collective enterprise — one in which teaching is as important as research — rather than the work of isolated extraordinary minds, who, after receiving the apple of illumination, produce reams of world-transforming prose. Republished from The Chronicle of Higher Education . Mitchell Aboulafia is a professor of philosophy at Manhattan College.